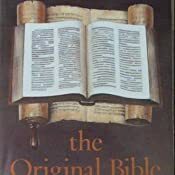 This book presents new and refreshing evidence to show that the biblical books of the basic Protestant canon are the proper and authoritative ones, but argues that the documents of the Bible were at first arranged differently and placed in seven major divisions that are at variance with all modern Bible versions. 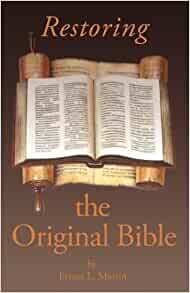 The author argues that Christians should return to the original manuscript arrangement of the biblical books. Dr. Ernest L. Martin did a masterful job of combing ancient scholarship with Biblical references to help understand how the Bible, both, the TANAK and the New Testament. 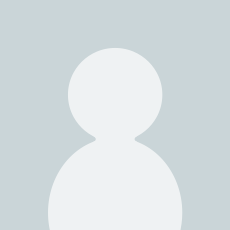 The part I greatly appreciated was his opening comment that theologians are guessing when they make their statements about authorship of Biblical books, as well as other statements based upon textual criticism. 5.0 out of 5 starsCanonising and the correct order. This is the second book from Ernest L. Martin that I have read. Like the first book(The Secrets of Golgotha),this one didn't disappoint. Mr.Martin covered a lot of topics that I found to be very interesting. He discusses how Jerome altered the order of the New Testament and why he did it.Particularly why he put the Pauline epistles in front of the General epistles. Mr.Martin wrote about rank concerning Paul,Peter,James(the Just)and John. He provides some fascinating information on the canonisation of the Old Testament.The number of OT books was 22.A book for each letter of the Hebrew alphabet before some of the books were broken down into smaller books. Matthew, the author of the Gospel-his name and what he was. Date of the writing of the book of Revelation from historical events. John's relationship to Jesus and what his heritage may have been. An interesting view on what "bind" and "loose" may mean in MT 16:19. The diverse authorship of the Psalms,particularly from Hezekiah. The "cloak" that Paul requested of Timothy in II Timothy 4:9-13. The principle of progressive revelation-teaching that begins with elementary matters and proceeds to the more sophisticated. These are just some of the many interesting topics in the book. The Index at the back is useful. It's a "must read" for anyone wanting to study the canonisation and order of the Bible. I recommend this book and "The Secrets of Golgotha" also written by Ernest L. Martin. A great book that will help you in understanding your Bible. This is the way the canon organizers meant for the Bible to be read. Interesting book and it makes sense. We should read the Bible in the original order. Dr. Ernest Martin was one of the finest biblical scholars of modern times. He had an encyclopedic grasp for historical details and a scriptural recall second to none, all for the good of teasing out commonly overlooked or little known gems waiting to be dug out, cut, and polished for all the world to witness and wonder at as he brings the bible alive (even more so) revealing its organic growth over the centuries and long lost symmetrical and logical structure as intended by the Holy Spirit for man's instruction. Dr. Martin makes extensive use of biblical and extra-biblical sources, secular history, and archaeology to clinch the various theses being advanced to paint the overall picture in his book. While at first the thought of having the NT books in their inspired order would make little to no difference in the spiritual lessons it teaches, Dr. Martin shows that in fact vital truths and new dynamics in understanding how the Holy Spirit operates are rewarded to the diligent bible student. For instance, the apostles were mistaken in their assumptions that the end time prophecies applied to their own generation; even though they were being led in the spirit toward delivering holy scripture, they were not entirely overshadowed by that infallible Holy Spirit and as men could still err and misinterpret the very oracles they were delivering (we see the same idea in the Tanakh where Daniel did not understand his own end time prophecies). Strangely, it was for our benefit these early missteps were left in the NT as later generations would have a 'drill' of sorts before them by the very apostles themselves of what they (we?) might expect during the run up to an end time scenario and how best to conduct ourselves. Consequently, it also obliterates the pretrib theory in a single blow (cf. 1 Peter, itself written under this apprehension, vs. 2 Peter composed subsequent to Peter's eyes being opened to what Paul was first to show). Of course, just before he was taken up, Christ himself told the apostles what they would be commissioned to do and not do, and we see his Holy Spirit stayed true to the commission while the apostles didn't always (cf. Acts 1:6-8). Also the progress of the epistles from the warnings of Christ's imminence and the apostles' subsequent realization helps date the epistles when compared with the surrounding events taking place in Israel and more specifically the startling signs happening in the Temple before its destruction -- the tearing of the veil during the earthquake coinciding with Christ's crucifixion being only the beginning of signs of God's abandonment of the Temple which would end 40 (the number signifying trial) years later in 70 CE, as recorded by eyewitnesses Philo, Josephus and others. It was actually this realization that after the Sabbatical year in 62/63 CE elapsed without the scriptural signs given to signal the start of Daniel's 70th week that the apostles understood that Christ would not return during their lifetime and saw the need to canonize the NT for future generations of Christians. Peter and John were given the legitimate rights to canonize the NT, which was done in two parts, finalized by John at the end of the 1st century of our era. Dan Brown fans and their spawns will be heartbroken to learn the NT was not an elaborate conspiracy concocted at Council of Nicea, but assembled by the apostles themselves, in fact early Christian history shows those in attendance at the council understood it to already be completed, even Augustine knew the canon to be established during the time of apostles not to mention Jerome's admissions. Much is to be said about this book, but to get all the details and documentation you must read the book. Best of all it can be read FOR FREE along with several other of Dr. Martin's superb books and articles at his Askelm website, so there is no excuse! And as amazing as this book is, I would suggest first reading his book 'The Star that Astonished the World' which reveals through modern astronomical programs, new light on historical records (like Josephus) and biblical details (such as surrounding the star of Bethlehem) that Christ was in fact born on Tishri 1, 3 BCE (Rosh Hashanah, the New Year coinciding with the Feast of Trumpets) which is Septermber 11, 3 BCE on our pope Gregory calendars. Mind you this original research was compiled long before 2001 and puts the attack in NY in a whole new perspective, does it not. I was so impressed by the research in that book that I immediately started on this one, and finished 'The People that History Forgot' after that and am well on my way to start devouring the rest of his work now. I believe Dr. Martin is one of those rare men whose work has the fingerprints of the Holy Spirit all over it - that's nt to say he was infallible, indeed even the apostles were not. In other words, he is the Ron Wyatt of Biblical research (who was/is wrongly betrayed and attacked maliciously in attempt to cover-up his testimony of Christ's blood on the mercy seat, yet his other public discoveries are set to be capitalized on for ominous purposes by political/religious big wigs in the forthcoming Exodus Conspiracy film). God bless you Dr. Martin, we'll see you soon.